screenshots – Welcome to Spinksville! There’s a dilemma that hits every gaming blogger when a new release comes out and you have limited time. And that is how much time to spend playing vs how much time to spend blogging about it. 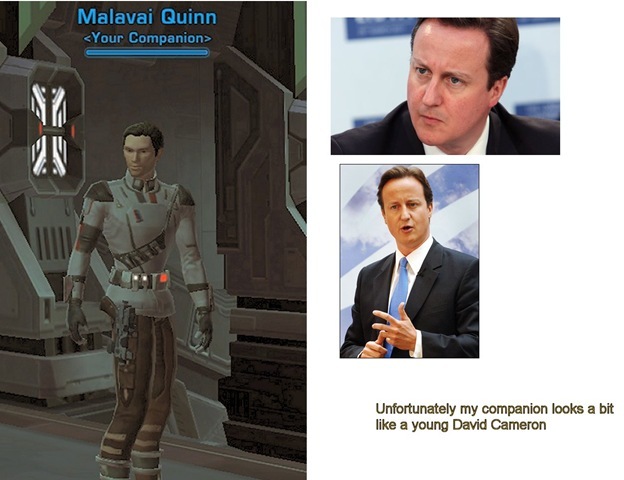 Characterisation of NPCs. Not all of them, for sure, but the writing and voice acting means they don’t have to be just blobs giving out quests if you’re willing to go with it. I do also quite like my class companions, it might be different if you hated them. Grand Moff Kilran (in the Black Talon Flashpoint) also has the most punchable voice of anyone I’ve ever met. I so hope you get to beat him up at some point. We had more fun in that flashpoint when we agreed we all hated him and picked all the most belittling responses we could. Companions. 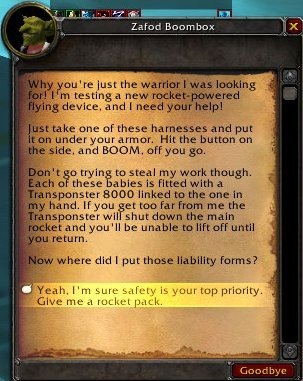 It’s funny how my responses to quests are affected by which companion is with me. Vette likes it when I tell quest givers they are idiots and give them lip. Quinn approves of being polite to quest givers, especially if they are empire military types. He really is a Young Conservative at heart so I doubt that romance is going anywhere – on the other hand he’s also really really useful and keen to help and offer advice and he gets amusingly tongue tied if you flirt with him. Plus he’s a healer. 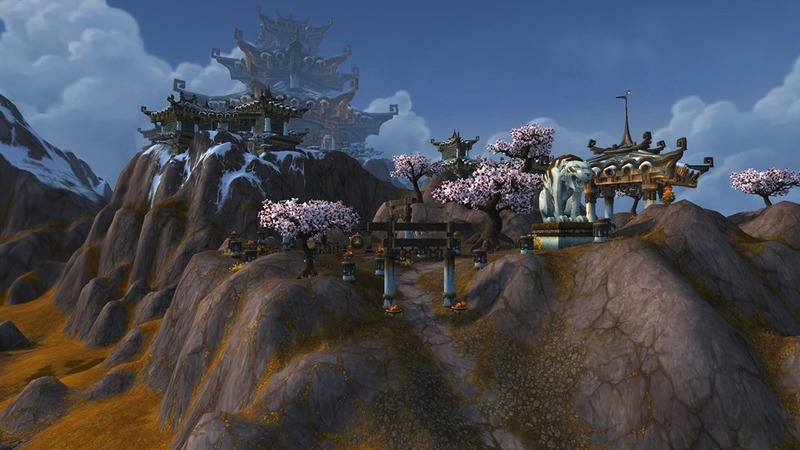 Group quests: we’ve done some as guild runs, others with random people, but they’re a nice way to switch up the feel from solo questing if you feel like it. The rewards are also good, but optional. Flashpoints: As above. The social conversation mechanic is fun in practice, and far less irritating than you might think from reading about it. I haven’t run all of the flashpoints so far, because the way they are laid out (you have to go back to the fleet etc) tends to break up the flow of questing. 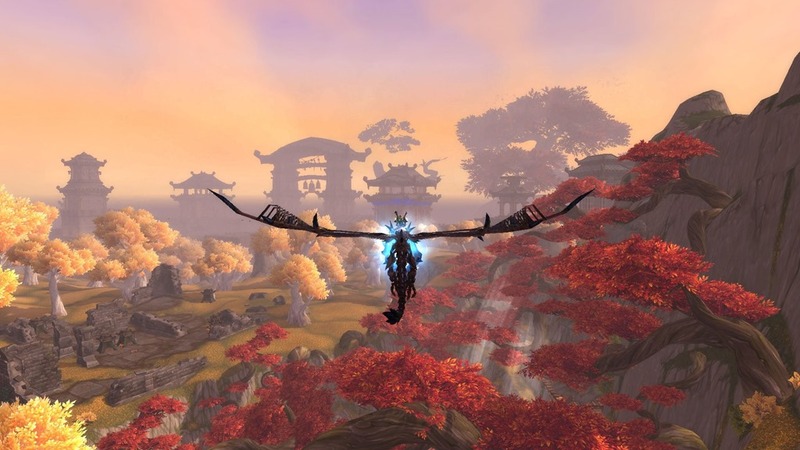 But it hasn’t been hard to find groups when I have wanted to, and it’s been fun to have content to run with guildies when we are feeling sociable. Guild! It’s fun to be guilded with some fellow bloggers, some of whom I’ve never played with before. So I’m enjoying the socialising, hanging out on guild chat or voice chat. Under preferences, check what key is bound to the ‘take screenshot’ option, it may not be the one you are used to. Is Crafting broken in SWTOR? 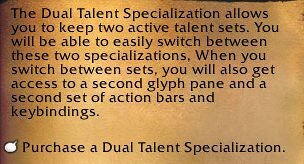 Here is the current issue with SWTOR crafting: there is one gathering skill that makes money as if it was going out of fashion, with no associated risk. It is Slicing. If you just want to make money and don’t care about making stuff, take Slicing as one of your crew skills and send all your companions off to find lockboxes all of the time. You will eventually make good bank. 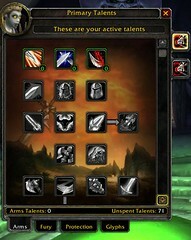 It’s not that all the other craft skills are bad. Cybertech and Biochem in particular can make plenty of things that people will buy. I’ve made enough from Biochem (I can sell implants as fast as I can make them, nothing else really sells so far) to buy my speeder training et al so it’s not by any means bad, but you have to work at it. They just probably won’t make as much as you would from Slicing because you have to acquire materials and then take the risk that a) other people won’t buy your stuff from the auction house or b) competition will drive prices down so that you won’t make much of a profit. Armormech, Synthweaving, Armsmech and Artificing all make plenty of nice gear that is at least as good as anything you will find elsewhere. 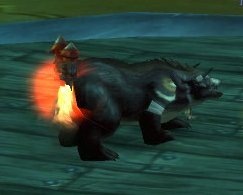 But there is competition from quest rewards, PvP gear, and drops from flashpoints. At the end of the day, it’s the lack of risk in Slicing – it’s guaranteed money – which makes it so unbalanced. It will also be interesting to see the effects of Slicing on the market. 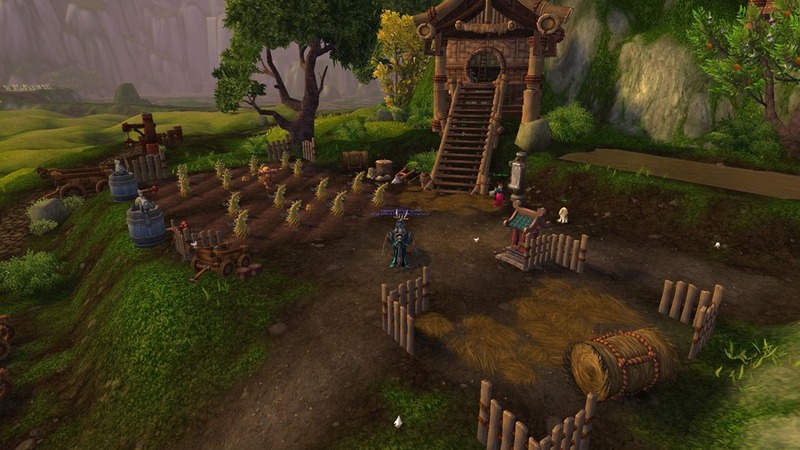 There are fewer people crafting to sell on the AH at the moment because the game is new out, and lots of people take gathering skills (incl. Slicing) as they level. But the prices they sell at are set by the Slicers since they have most money to spend on the AH. 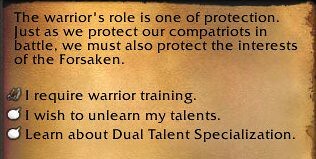 So this week I finally got exalted reputation with my guild. I still don’t quite get the entire idea behind earning reputation with a guild I was practically a founder member of via quests and instances, surely I should just be able to get rep from the guild officers/ GM. 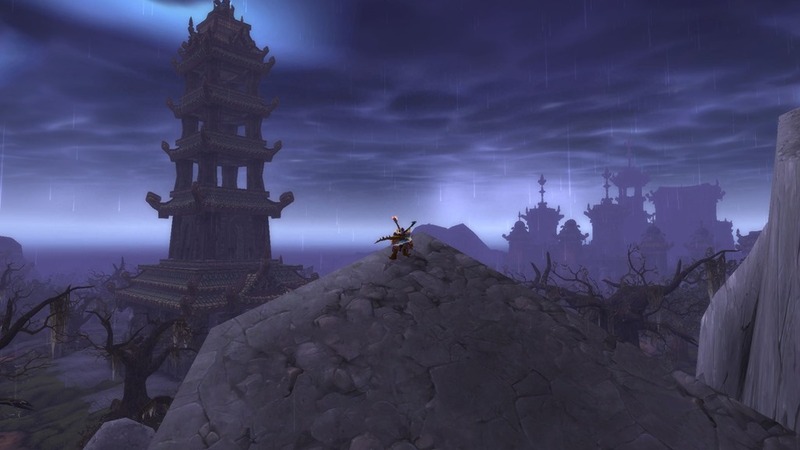 In any case, WoW being what it is, far too few people actually complain about this and I suspect many prefer the idea that they can earn guild rep via quests and achievements without having to actually talk to anyone. 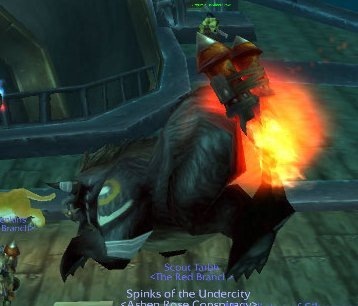 Anyhow, exalted rep let me buy a dark phoenix mount, which will mean something completely different to anyone who ever read/ watched the X-Men. 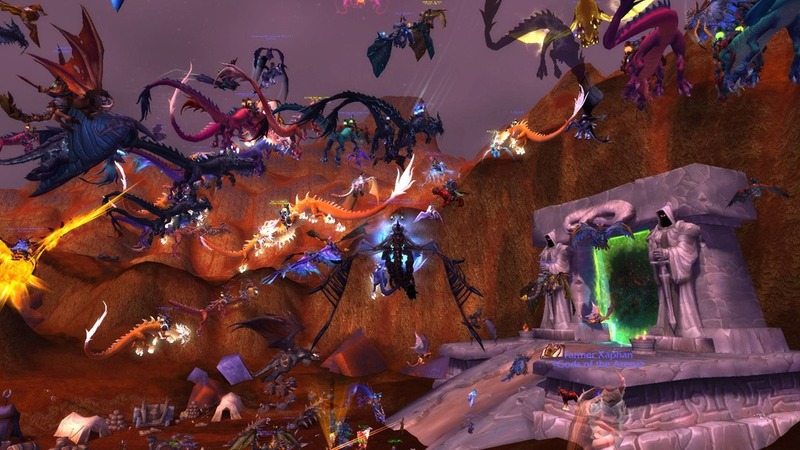 The eligibility criteria are being exalted with a guild that has achieved guild kills (ie. 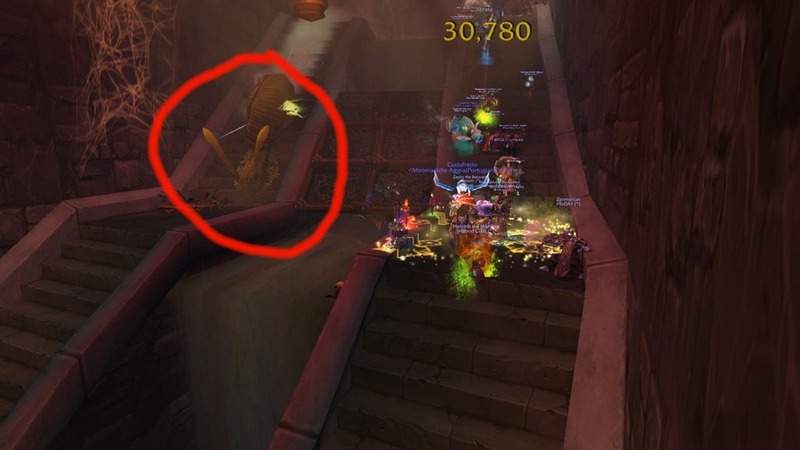 in a raid group made up mostly of guild members) of the T11 end bosses. So it shows that your guild are capable of talking to each other at least enough for some raiding success. I think the rest of my guild should be justly proud, I wasn’t actually there for either of the kills myself. 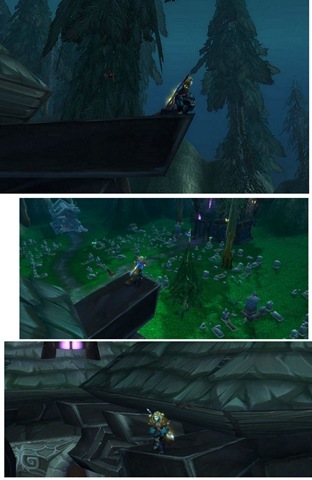 And these are some moody shots of Spinks, which shows that if nothing else, being able to fly around Azeroth is good for setting up some pictures. Anyone care to guess where these were taken? My burglar rides through Lothlorien, the Golden Wood. 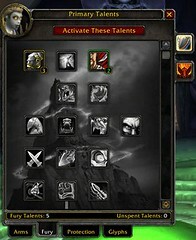 This is more of an achievement than it first appears because the elves won’t allow anyone in until they have earned enough reputation, which you do by running some regular and daily questlines. Some people love this type of gating, others hate it. I was impressed that Turbine had tuned the amount of questing that you needed to do to a semi-reasonable amount. I had a handful of sessions of fairly relaxed questing, which involved some orc slaughter, some collections, some arrow delivery – in other words a reasonable spread of things to do. And I’m coming to the content long after most other people are off to Mirkwood. So although I can see how people might have been frustrated when the Lorien patch first dropped at being herded through repetitive quests just outside the zone, I found it all quite relaxing. I enjoy the chilled out pace of LOTRO and this worked for me. I was very glad that I had been advised to head out of Moria and start on the Lorien quests at level 58 though. I think that made the whole experience much smoother. You can tell that you are in Lothlorien from the graphical bloom. I rather liked the effect. In this shot, my character is outside the gates of Caras Galadhon, the treetop city in the heart of the Golden Wood. And because this is LOTRO, you need even more reputation with the local elves before they will let you in. This was slightly more annoying because within that city were all the conveniences of auction house, vault, and so on. Again, I was impressed with how the reputation grind was tuned. You get reputation from just about anything you do in Lothlorien, and I gained access to the city just before my character hit 60, which meant that I could bind there before heading off to Mirkwood. Again, I know the Lorien quests weren’t universally popular. They are weighted towards exploring, gathering, collecting, and talking to NPCs rather than pure slaughter (although there are plenty of opportunities to kill orcs on the outskirts of the golden woods also.) I found it a breath of fresh air – maybe even literally compared with the claustrophobic orc-slaughterfest of Moria. Moving to one zone after the other was a delight, and certainly a change of pace. So, I enjoyed my time in Lothlorien. 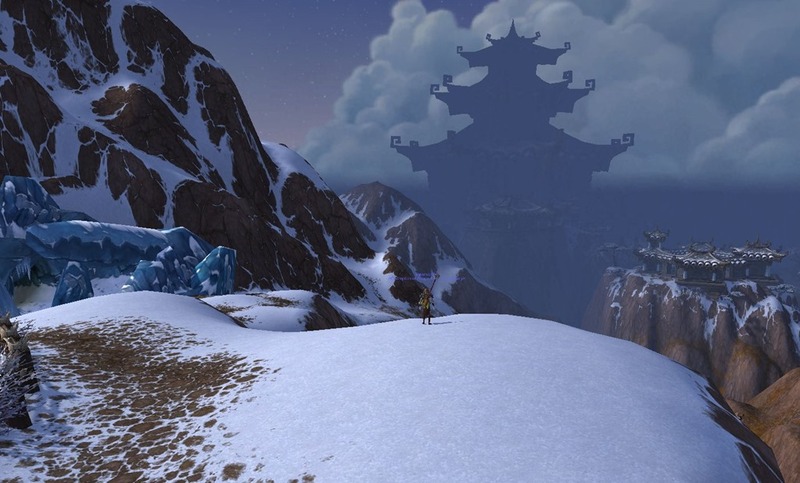 It does feel strange to be questing in an almost empty zone. They do also go totally overboard with all the various different reputation items that end up in your bags. Bag space continues to be a huge and ongoing issue with this game. In the end, I spent most of my tokens on Lorien-styled cosmetic clothing, because I knew I had no intention of hanging around long enough to grind out tokens for more useful gear. Especially since I imagine it gets replaced quickly in Mirkwood anyway. I peg this as one of the things you learn from having played a lot of MMOs, knowing which parts of the outdated endgame you can probably skip. And in an oddly immersive way, it reminded me of how the fellowship in Lord of the Rings picked up elvish cloaks and clasps to take on their way. And one last shot of Moria. 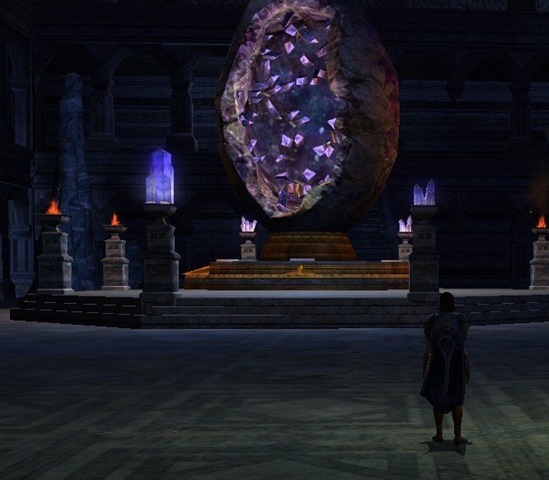 In this screenshot I’m inspecting a giant geode. Quick everyone, on to the gunship! What could be better than a zeppelin flight? How about … a zeppelin with guns? And jet powered rocket packs? But this does leave one question in everyone’s mind. Us bipedal types can carry a rocket pack strapped to our backs. But what happens to the bears?